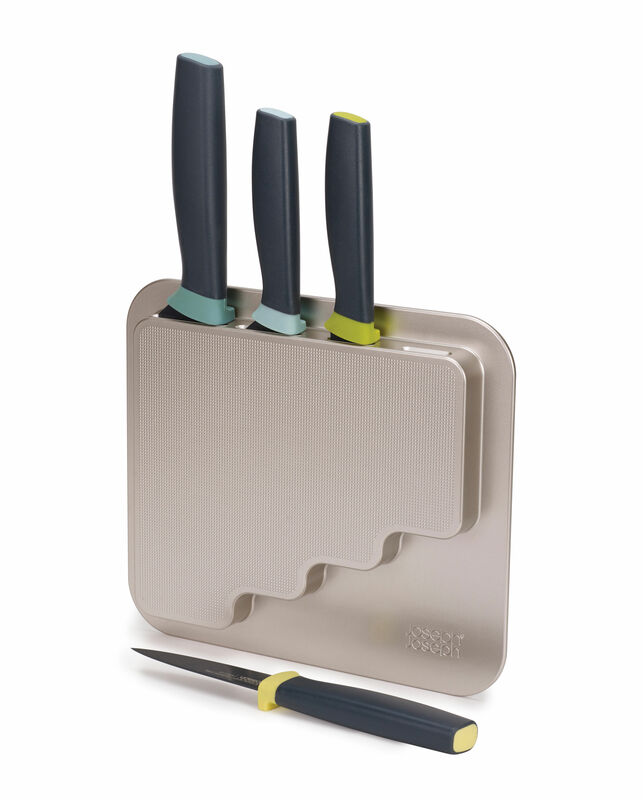 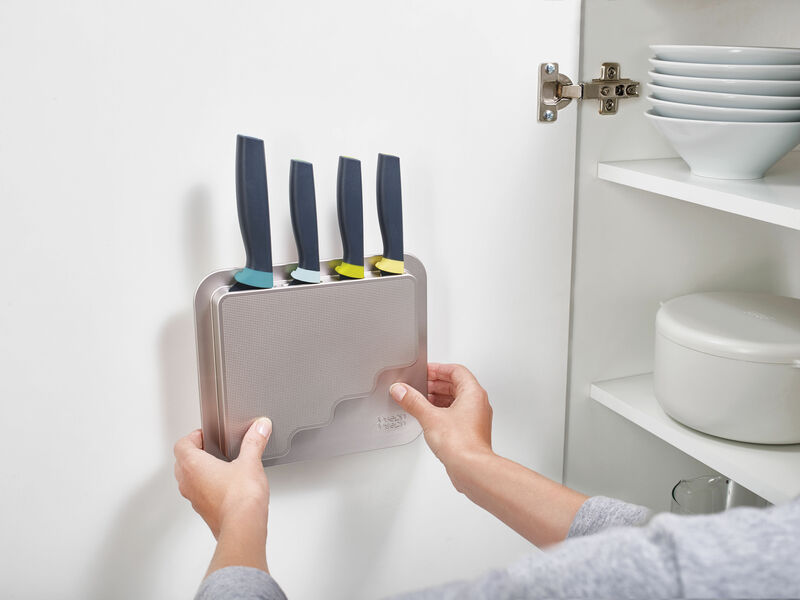 This set includes 4 kitchen knifes and an adhesive storage rack which lets you optimise space. 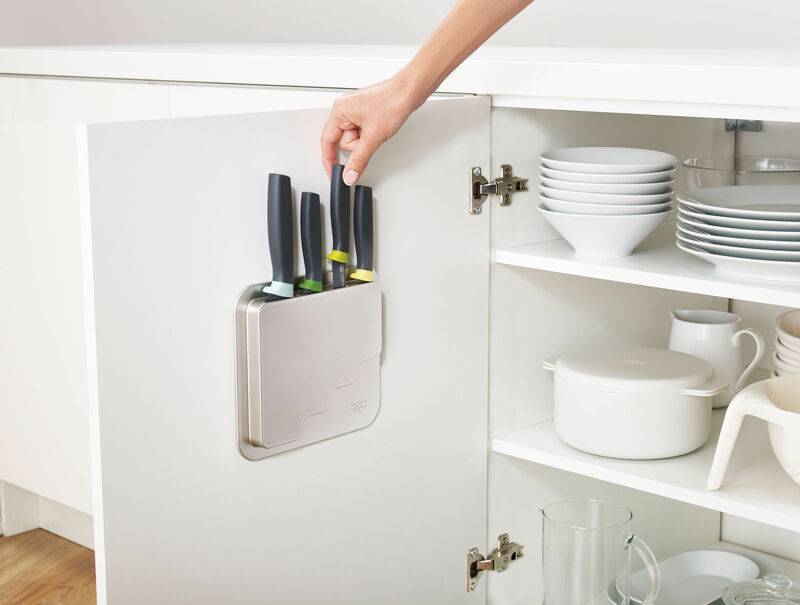 The storage rack with an extremely flat design can be attached to the back of a cupboard door, on the face of refrigerator or on a wall. 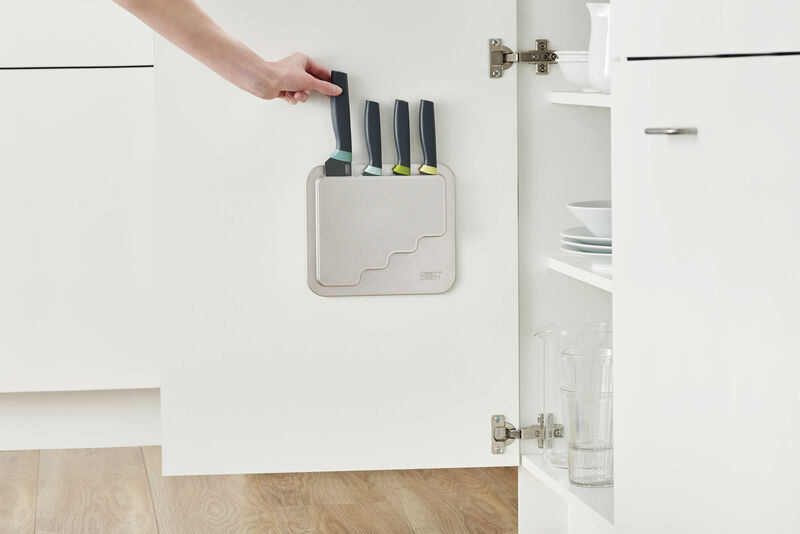 Installation is easy, no need for tools: the rack attaches with the 3M BHV solid adhesive strip (provided). 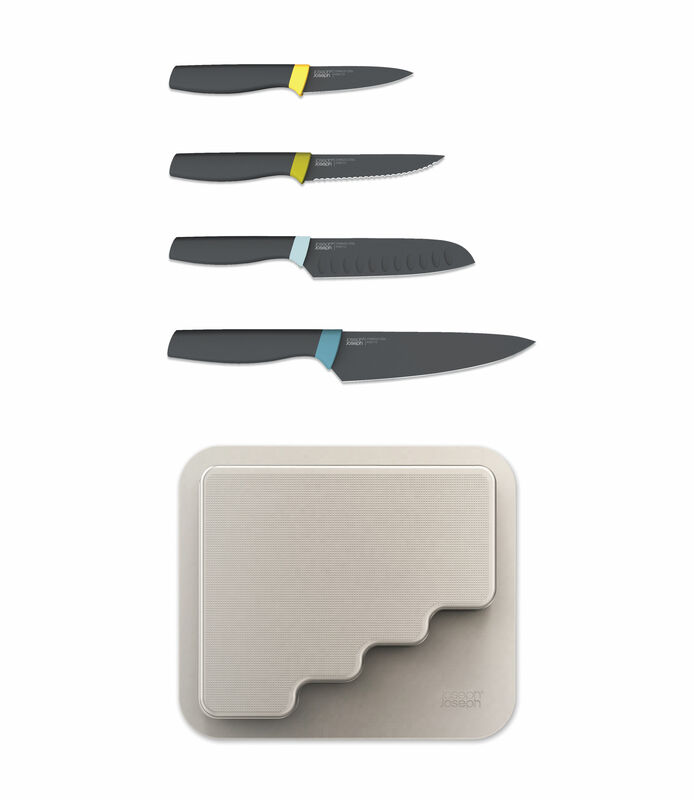 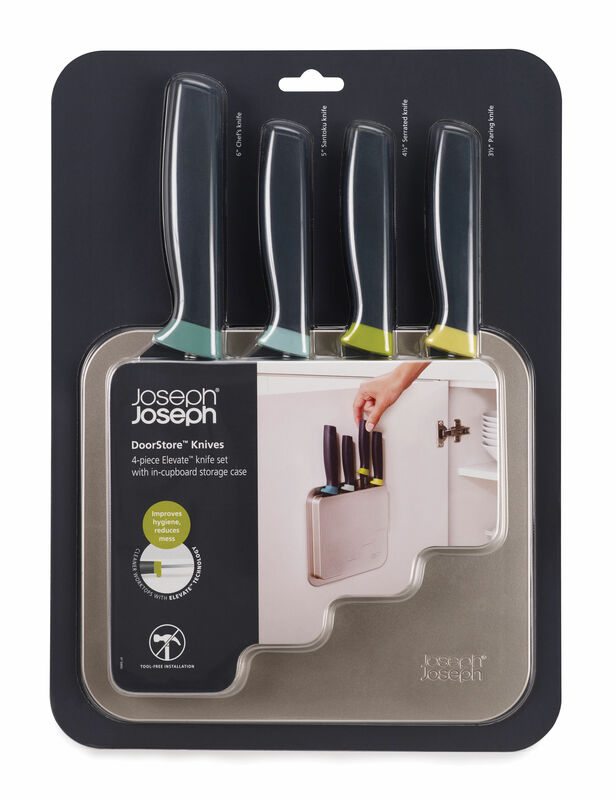 This set consists of 4 essential kitchen knives: a peeler, a serrated knife, a Santoku knife and a chef's knife. 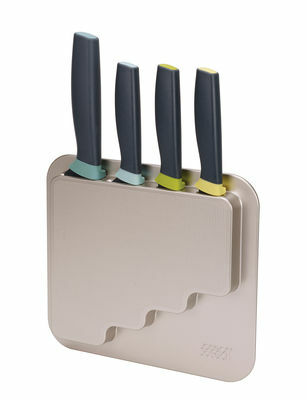 The blade, which is, in part, coated in silicone is non-stick. The ergonomic handle ensure a good grip even when wet. 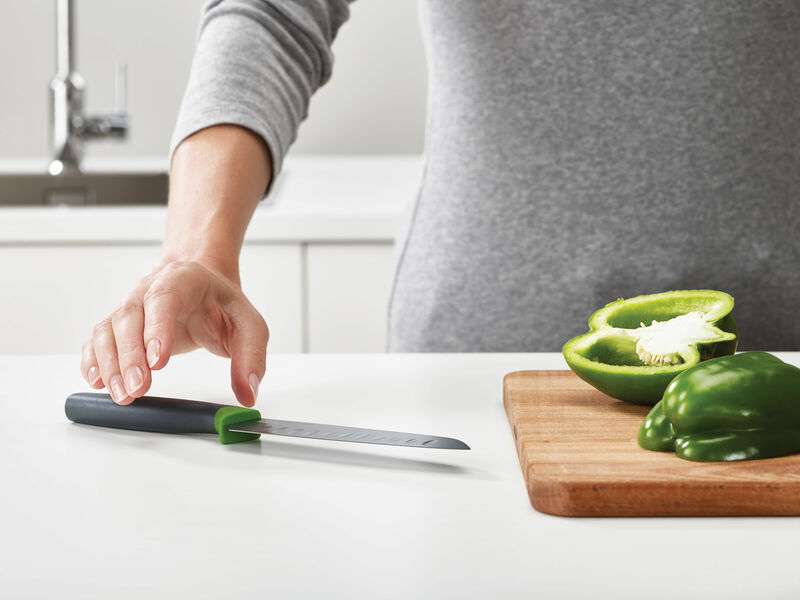 The handle includes a rest to keep the worktop completely clean.